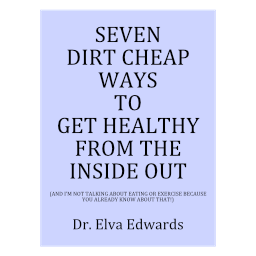 September 2017 – Dr. Elva Edwards, D.C.
Fall has been in the air since the first of August this year. Children have returned to school and the coughs and sore throats have already begun. Fall started early this year and so did the assault to the immune system. It reminds me of my first adjustment. I was sick, went to the chiropractor and got a neck adjustment and was better the next morning! So don’t forget your adjustment. It is great to make some soups, especially chicken noodle soup, and freeze in one or two portion containers for the day someone in the family needs to stay home and recuperate. When someone is sick, you are glad you stored away a cup of health! If you haven’t seen my videos about making the detox bath or the video about using an onion for an ear ache, be sure to do so. Look under resources on my website. These are so simple, but powerful! They work. Keep yourself rested and warm and the colds will pass you by. As it gets colder wearing a scarf is helpful. Long before scarves were popular here, they wore them in Europe because of the cold. Keeping your neck, and even the top of your head warm, can be very important in keeping you well. As the seasons change, stress is placed on the body. It is obvious as that is the time people tend to get sick. It so happens to correspond with school starting and increased activity like football games and practices. Be especially careful when the wind is blowing. We can take the cold without the wind, but when the wind blows, it takes the cold straight into the bones. Scarves and coats if you must be outside. Warm up by the fireplace and have a cup of hot tea. And, don’t forget to enjoy fall! Colds and flu begin as soon as school starts. Normally it takes about 3 weeks to get used to the new schedule school requires. Plenty of sleep will always help you, as well as your children, fight off the dreaded virus and bacteria. Stay hydrated. And don’t forget to eat real food. 90% of the food sold in the USA is processed food. That means it has been altered and will not give you rich nutrients to support your body while it is under attack. Homemade chicken soup is soothing and helps you with electrolytes. And fruit gives you the antioxidants you need to support your recovery. If you need more support, be sure to look on my website under Resource and scroll down to GEMS. I have a video giving you the recipe for a detox bath, a castor oil pack and using an onion to relieve the congestion in your ears. Use them as needed to get through this “rough patch” that we go through each year.